Click here ot link to our Amazon page. Lean Project Management gives a process to do all this. 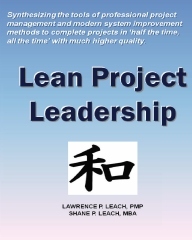 Lean Project Leadership adds detail, provides a reference to refresh and use in training, and adds how-tos for implementing in an organization.